As it turns out, Clippers owner Donald Sterling — currently in hot water for a racist tirade that Sterling apparently aimed at his girlfriend, according to a leaked recording — has been openly racist for a really long time. Which leaves us with a burning question: Why did it take this long to try to remove this guy from the NBA? Sterling, this week's worst American (sorry, Cliven Bundy, your time to shine is over), and hopefully next week's forgotten one, has been making racist comments — and actively discriminating against African Americans and Latinos — for years. The NBA's commissioner, Adam Silver, is the guy with the power to decide whether Sterling should face consequences for his comments. He's said the league is investigating what happened and will decide what to do once that investigation is complete. In service of removing this guy from any respectable position in 21st-century America, starting with his NBA ownership, we've compiled a tidy list of some of Sterling's worst offenses — and these are just the ones we know about. So just in case the NBA has any doubts, here's a lot more evidence shoring up the claim that Sterling is, well, just awful. 1. He allegedly discriminated against blacks, Latinos and interracial couples at his rental properties. In 2009, Sterling, a billionaire, paid almost $3 million to settle a case with the Justice Department, which alleged that Sterling discriminated against tenants and potential tenants at some of the 119 apartment buildings he owned in the Los Angeles area. It was the biggest housing discrimination settlement ever recorded. As part of the lawsuit, one black family and an interracial couple with children said yards that were previously part of their apartments were torn down to get them to move out. And the Justice Department showed that Sterling's company "rented to far fewer Hispanics and African-Americans in Koreatown which than would be expected based on income and other demographic characteristics." Sterling didn't admit to any wrongdoing in the settlement. During negotiations over the contract of now-retired player Danny Manning, Sterling reportedly said “I’m offering you a lot of money for a poor black kid," Baylor alleges. 3. He uses racial slurs. I wanna know why you think you can coach these niggers. Hi, Adam Silver, did you read that? 4. He's called blacks "unclean" and Mexicans "lazy" — and then announced his intentions to kick them out of a building he owned. That's because of all the blacks in this building, they smell, they're not clean. ... And it's because of all of the Mexicans that just sit around and smoke and drink all day. ... So we have to get them out of here. In light of Sterling's history of racist comments and actions, it shouldn't be too hard to figure out whether or not he's responsible for the tape released last week (Deadspin has the whole recording here). 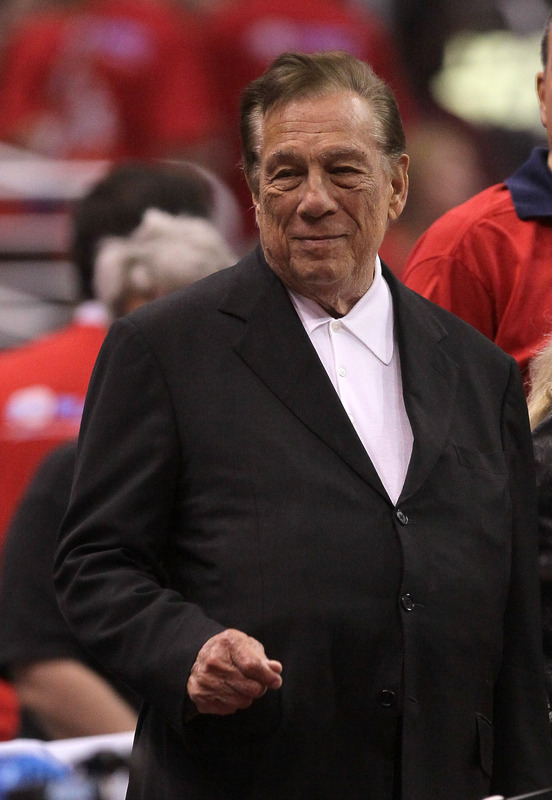 And if the Clippers are looking for an owner, we know at least one guy who's interested.